Now, twenty years later, we are now spoilt for choices as far as food at midnight is concerned. Most of the star restaurants have their 24 hour coffee shops and quite a few offer midnight buffets too. Still if you land up here in the weekend around 11:30pm, you will notice a crowd waiting patiently for the buffet to open. Sometimes, late at night, you may have to wait for 10-15 minutes to get a table. The major cuisine served in this buffet is Hyderabadi. The biggest attraction of this buffet is their Haleem. 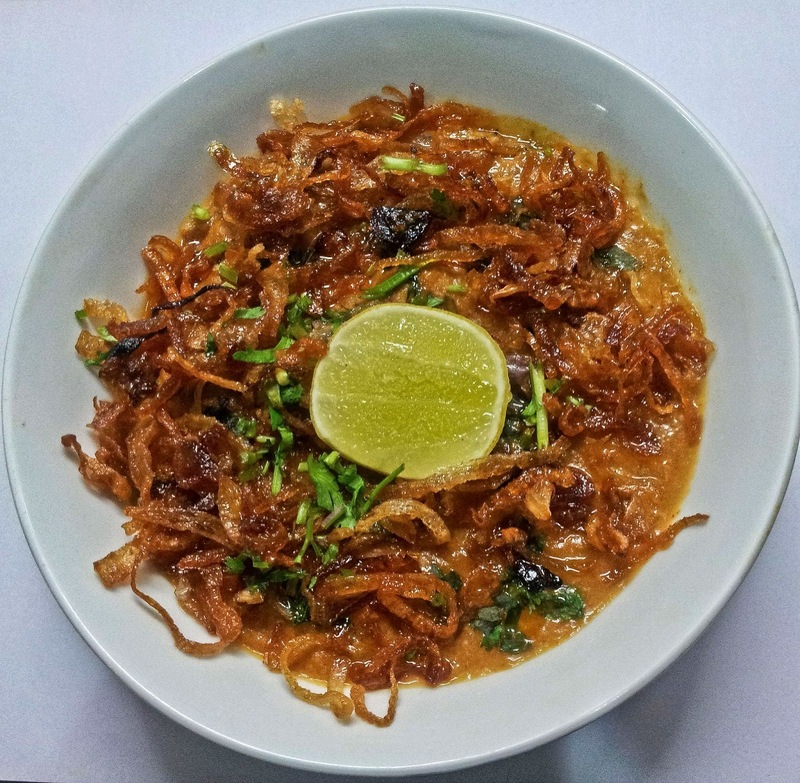 Haleem is a delicacy which is available in Hyderabad only during the holy months of Ramzan, but this is one place where it is available round the year. 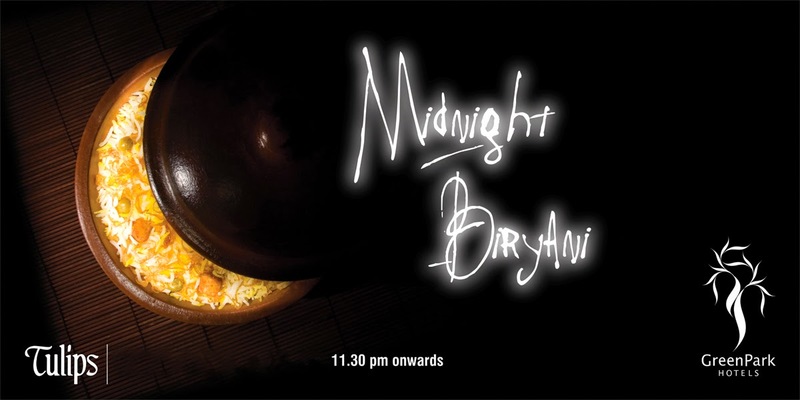 Though “Midnight Biryani” is basically a buffet, as the name suggests, the biryani is much sought after. They normally have a vegetarian and more than one non-vegetarian biryani. While their Non Vegetarian Dum Biryanis are very good, I am a big fan of their vegetarian offering as well. Spicy and cooked with an assortment of vegetables, this is a hot favorite of many locals. 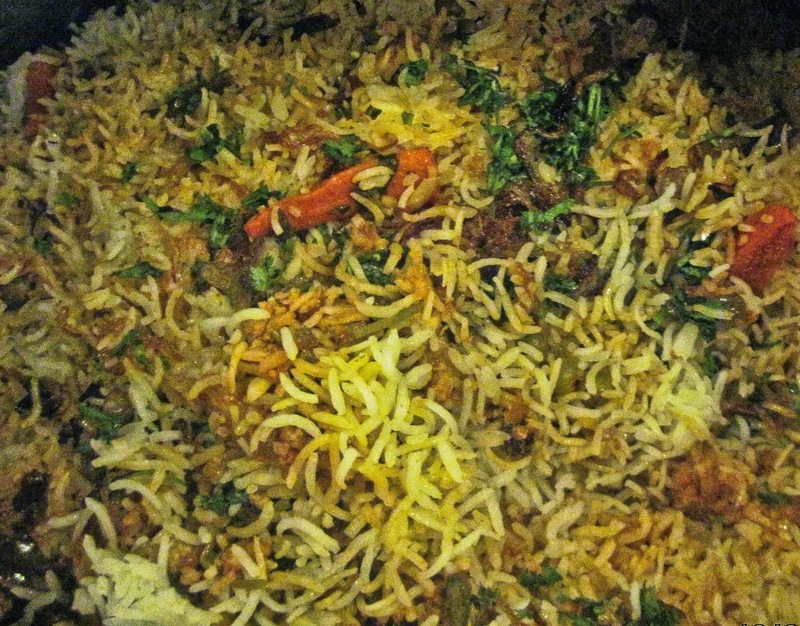 It is custom of many regular residents of the hotel, who board morning flights, to pick up this biryani and take to their destinations. 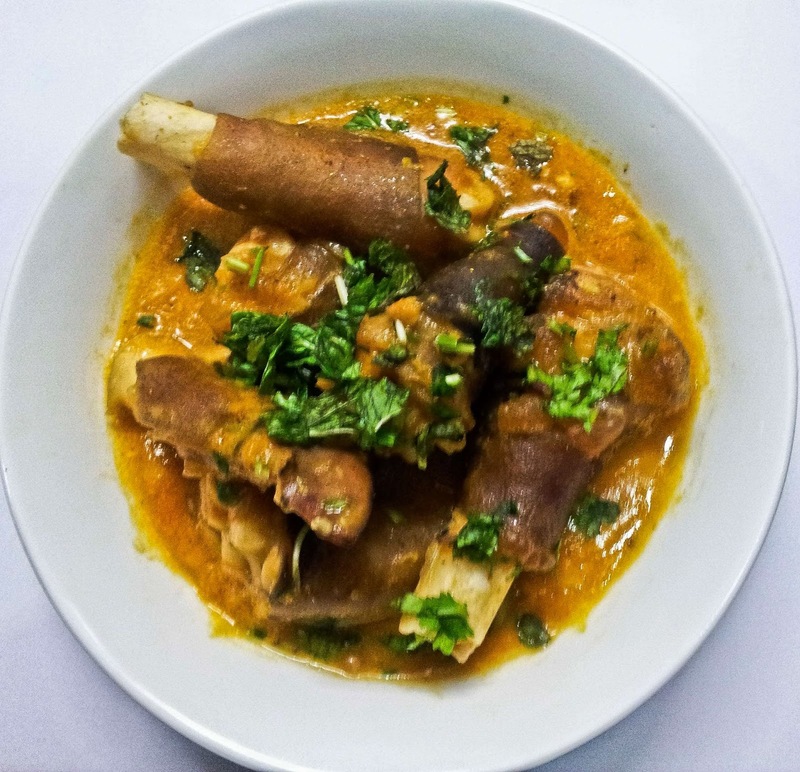 Hyderabadi hotels have a tradition of having Paya (or lamb trotters) in their midnight offerings, and Green Park is no exception. Paya Shorba had been in their menu from the very beginning. People love the dish and are seen to cover their plates with 4-5 pieces of paya. 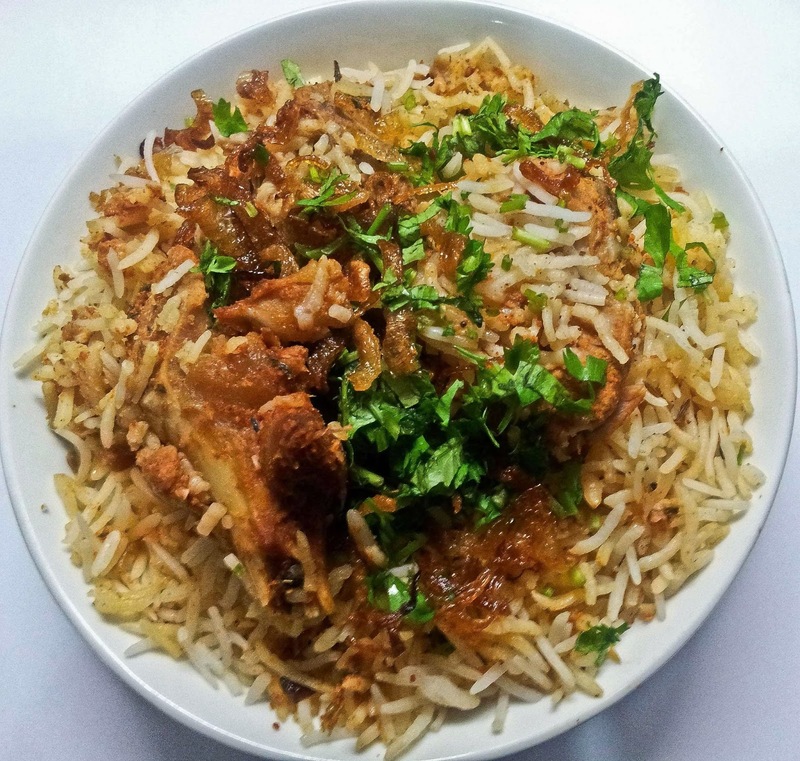 Apart from this, it has a few vegetarian and non-vegetarian dishes like Bagara Baigan, Dum Ka Murgh, Anda Masala and Nizami Handi. There are also live counters for an assortment of dosas and parathas. 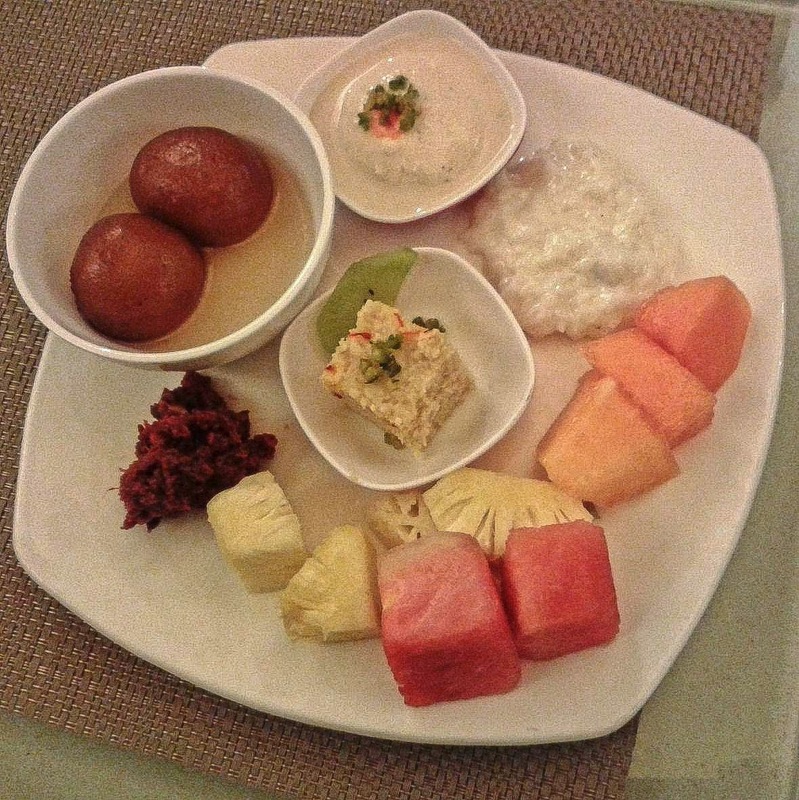 The dessert chef of Green Park is one of the best in Hyderabad. The dessert menu of the buffet keeps on changing and has many innovative items. Midnight Buffet is available in Tulips restaurant Sunday to Thursday and in Once Upon a Time on Friday and Saturday.